William M. McDonald, MD graduated from Duke University Medical School in 1984 and was a member of the clinical faculty before moving to Emory in 1993. 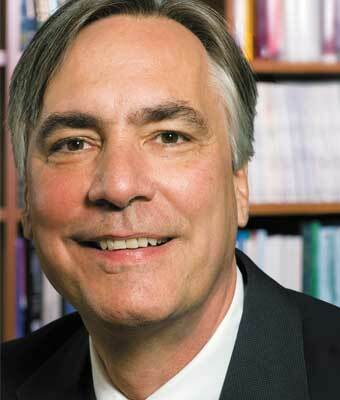 Dr. McDonald is the Fuqua Chair for Late-Life Depression and Professor of Psychiatry and Behavioral Sciences at Emory. Throughout his career, Dr. McDonald has concentrated research efforts on understanding the neuroanatomy and clinical features of mood disorders such as mania and depression, particularly when these disorders occur late in life. His research has been supported by funding from the National Institute of Mental Health, the National Institute of Neurological Disease and Stroke, the Fuqua Foundation, National Association for Research in Schizophrenia and Depression and a number of private funding agencies. Dr. McDonald is a Diplomate of the American Board of Psychiatry and Neurology, with added qualifications in Geriatric Psychiatry. He is a reviewer for over fifteen national and international scientific journals and serves on a number of national committees including the American Psychiatric Association’s (APA) Research Council on Research and the APA Taskforce on the Guidelines for Electroconvulsive Therapy. He has published over 175 articles and book chapters in the psychiatric literature. Dr. McDonald is an experienced clinician in the treatment of resistant disorders in depression. He was awarded the Georgia Psychiatric Physicians Association Psychiatrist of the Year in 2011 and is a Distinguished Life Fellow in the American Psychiatric Association. Dr. McDonald has won a number of teaching awards including the APA’s Roeske Award for Medical Student Teaching and the Emory Williams Teaching Award given to one medical school faculty member by the Dean of Emory Medical School for contributions to the medical school. In 2018 he won the American Association of Geriatric Psychiatry’s Teacher of the Year Award. Dr. McDonald serves as the Vice Chairman of the Board of Directors of 3Keys, Inc., an organization that provides permanent supportive housing to adults facing the challenges of mental illness and homelessness.